Micromax Bolt A067, the latest smartphone in the Bolt series is now available. It has a 4-inch WVGA screen, is powered by a 1.3GHz dual-core processor and runs on Android 4.4 (KitKat). It has dual SIM support, but it doesn’t have 3G connectivity. Check out the complete specifications below. 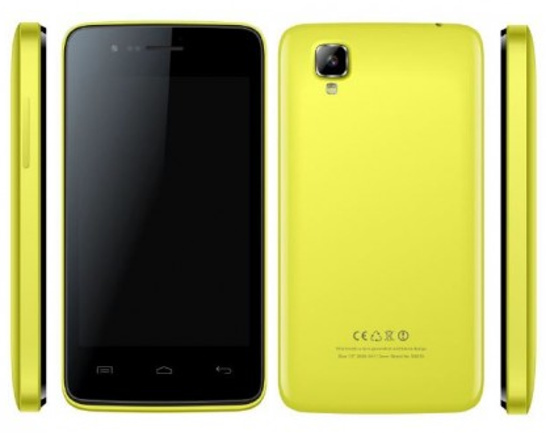 The Micromax Bolt A067 comes in Green, Red, Yellow, Black and White colors and is priced at Rs. 3,899, according to Mumbai-based retailer Manish Khatri from Mahesh Telecom. 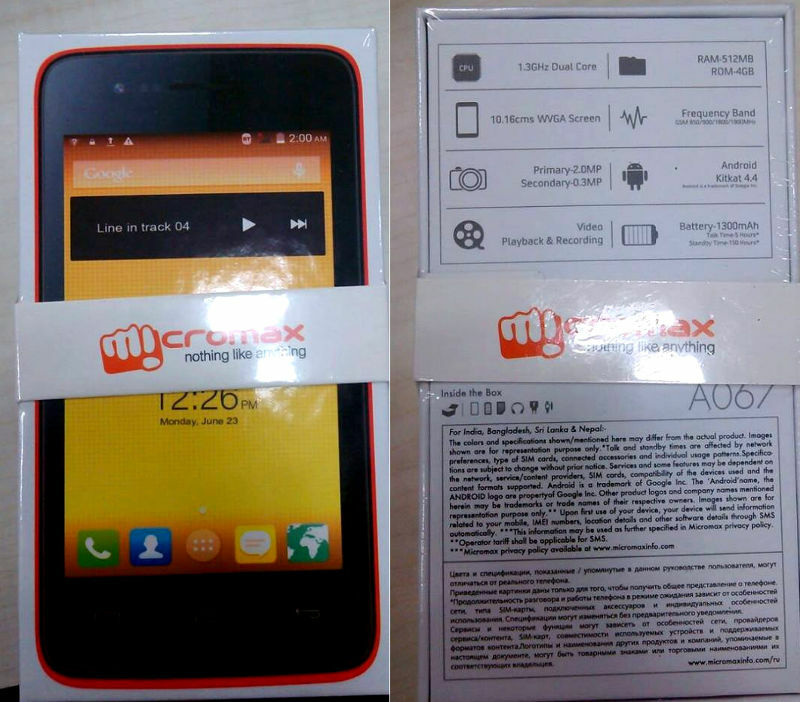 Here is the box from the retailer that shows the smartphone and the specifications. The Micromax Bolt AD4500 went on sale in last month. The company would launch Bolt A066 and Bolt AD3520 smartphones soon, according to earlier reports.